“It’s not to go and learn the history of Korea, and to learn what a hanbok is or how to say hello in Korean. But it’s more focused on the relationships and the meaning.”/Support the Korean American Adoptee Adoptive Family Network’s Fundraiser! Home » blog » “It’s not to go and learn the history of Korea, and to learn what a hanbok is or how to say hello in Korean. But it’s more focused on the relationships and the meaning.”/Support the Korean American Adoptee Adoptive Family Network’s Fundraiser! It would fantastic to attend the International Korean Adoptee Associations’ (IKAA) Gathering in Seoul this coming summer. The Gathering will undoubtedly be sweetly awesome-nova. More than that, I have great respect for many of the individuals planning the shindig. (Dr. Kim Park Nelson, I humbly bow to thee. Sonya Oh, you know that I have made respect for you.) However, my next trip to Korea has to include my son, and the Gathering isn’t the best place for a five year old. So, I’ve decided to attend another conference happening right about the same time – the Korean American Adoptee Adoptive Family Network (KAAN) Conference in Michigan. Woo-hoo! Why? Because it’s awesome, but don’t take my word for me. 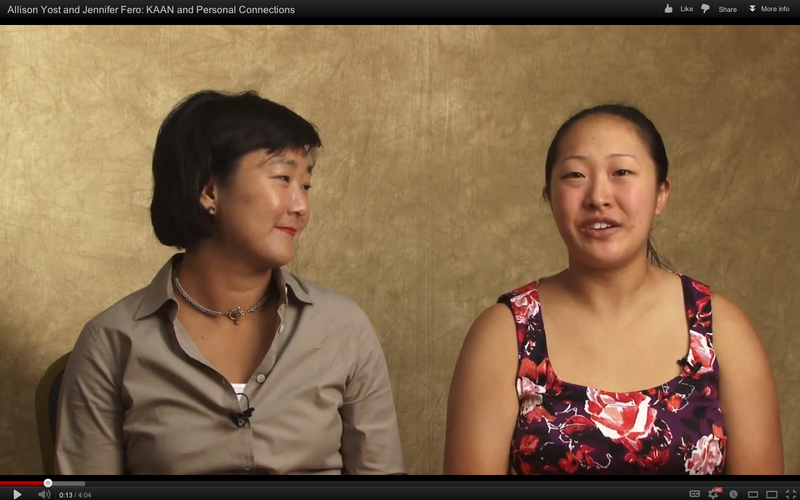 Check out what Allison Yost and Jennifer Fero (featured in the film Adopted) have to say about personal connections. After that, show KAAN some love by supporting its $20,000 fundraiser, which Land of Gazillion Adoptees fully supports.